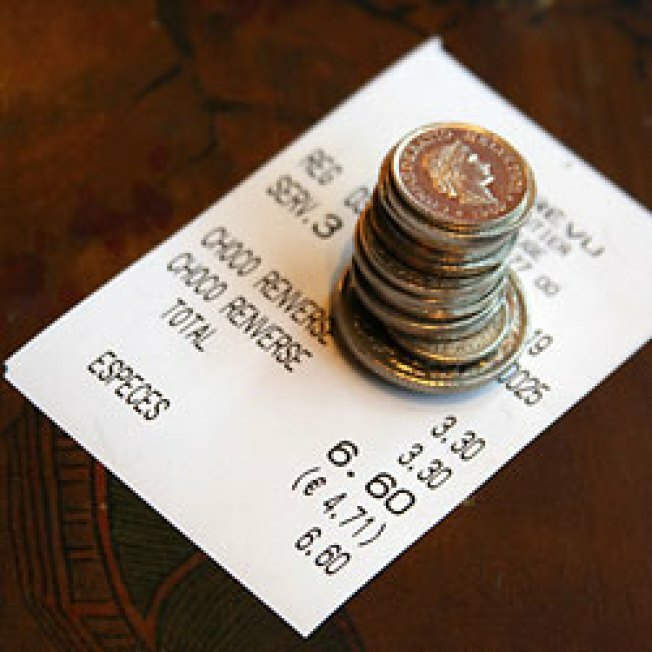 • "Having confronted a group of foul-mouthed Englishmen at a bar last month over their paltry $1 tip on $30 of drinks, I think it’s safe to say that nearly all European tourists do in fact know that tipping is customary and expected in this country." • "Actually tipping is another one of those nasty American habits that justifies slave labor wages ... Although we as an American family tip ... we only go to places that are owned by our friends or to places that do not expect a tip, 99% of the time." • "If you have a good, professional staff … I think it is entirely appropriate for the management to confront lousy tippers." • "I see no reason to have to leave a $40 tip on a $200 meal when the service has been mediocre at best, and the majority of the tab is from getting an already-marked-up bottle of wine." • "Maybe it’s about time to just add 15% to the bill as a service charge, as they do throughout most of Europe." • "One does not tip in China  and the service is fine." • "Confront your Boss to pay you real wages, stop disturbing your customers, who have already left legal tips, and get a real job!" • "As a server, I’ve given up on the niceties and simply add it onto the check (post-tax) and inform the diner that the gratuity has been added. After all, I’m there for the money, not to make friends."